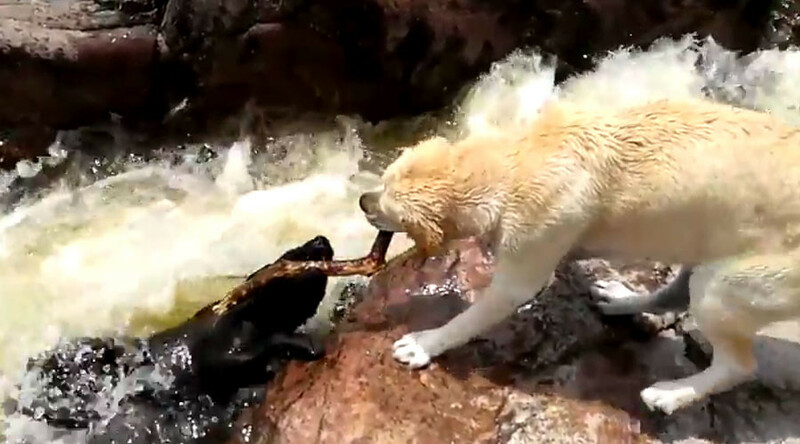 A video of a dog rescuing its canine friend from rapids has racked up millions of views online, giving the internet a much-needed boost of happiness. Rafael Franciulli’s eager labrador dog chased a stick into some choppy water and, just as a strong current swept the dog away, his buddy grabbed the stick and drags his friend to safety. After commenters questioned why Franciulli chose to film the rescue instead of helping, he uploaded another video revealing the rapids lead to a wider pool, and not a perilous waterfall.